Fluency Test was designed by Dr. Charles Stansfield and Dr. Daniel Reed. 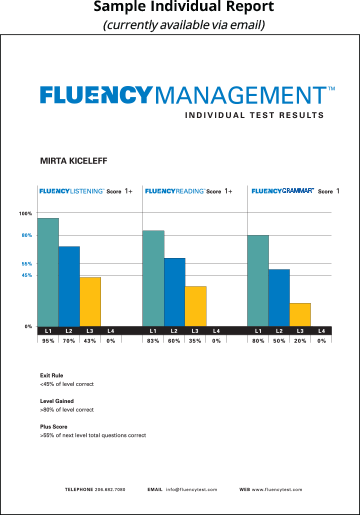 Fluency Test’s rich content is continuously updated to reflect global English language trends and practices. Fluency Test’s assessment framework is based on the Interagency Language Roundtable (ILR) Scales, which measure reading, writing, listening, and speaking skills. The ILR Scales enable accurate placement, comparison, and tracking of a person's English proficiency. 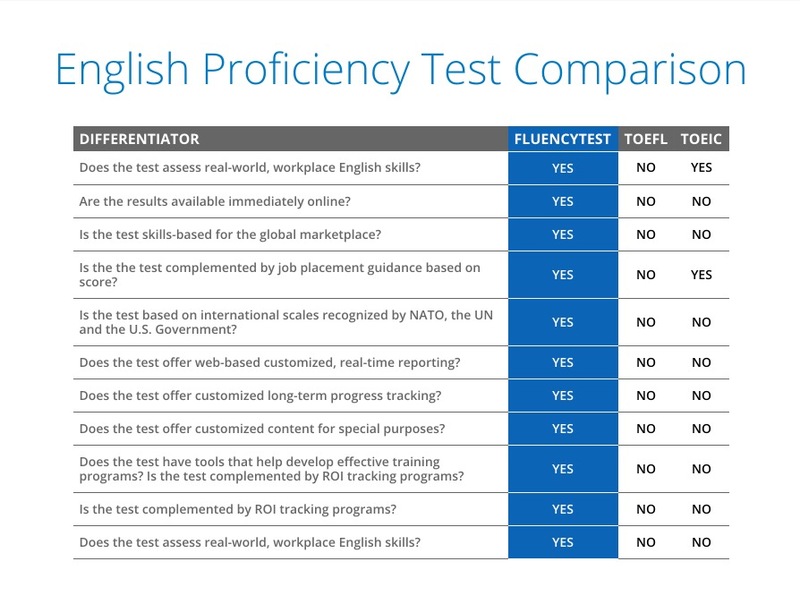 Fluency Test’s language assessment system is focused on measuring specific, real-world workplace English skills. The system goes beyond comparing multiple test-takers' relative abilities to master a limited set of academic materials. Instead, it embraces a more practical assessment criteria applied to the workplace skills required in multinational corporations and governmental organizations. Fluency Group provides customized test capabilities for the needs of business, higher education, and government clients. Examples include Workplace English for a wide variety of industry sectors, English placement tests for higher education, and Airport Security English. Reporting capabilities provide the information necessary to all stakeholders to support their mission. You all have been SO wonderful to work with. I am very pleased with the pilot test you put together in lightning speed.